After many months of working with the State of Florida, Nuke Em has been accepted for use on Floridian crops. Its ingredients have been evaluated and declared a low risk of toxicity. We welcome the certification by the State of Florida and appreciate the confidence they have in our products. Before any Nuke Em is sold, the concentrated formula goes through the same laboratory testing that flower producers are required to go through. Each batch of Nuke Em is tested for 59 adverse chemicals along with bacteria, yeast, and mold that would fail state regulated laboratory testing. While Nuke Em has never failed a lab test, the procedure will continue to be done as part of our quality control. 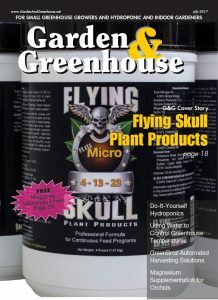 Flying Skull wants to thank all its customers who continue to support us. We have good news! As of May 4th, 2018, Nuke Em has been listed by OMRI (Organic Materials Review Institute). While most pesticides have surfactant in their formula, sometimes it’s not enough. Spread Coat was formulated to answer the needs of those growers whose plants and pests have a waxier than normal coating. In some cases, less pesticide was said to have been used to get the same results, simply because the pesticide was better able to contact the insect.